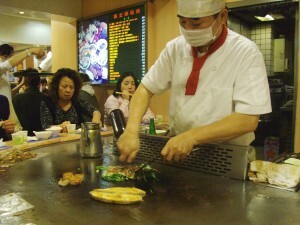 So we went to Shinkong Mitsukoshi in the middle of Taipei to go eat at this Teppanyaki place in the food court. Teppanyaki, is where you sit down on this table which is essentially a giant pan and the chef makes the food right there and gives it to you. 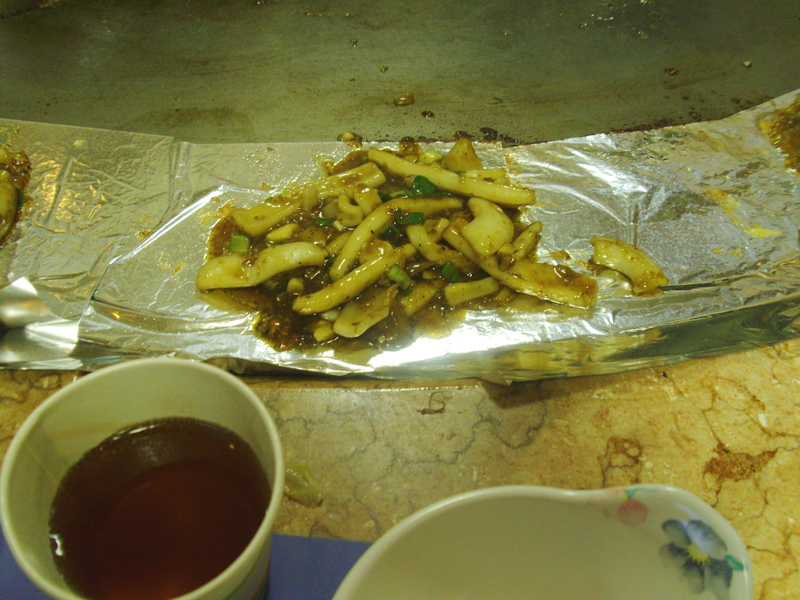 I got this special meal where you can pick beef, lamb, or pork and you get a portion of squid and scallops. 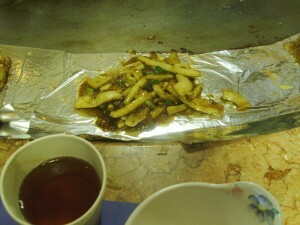 Actually, the meal also includes seaweed soup, sauteed cabbage (高麗菜), and sauteed beansprouts. I’m not much of a… vegetable person (veggies are just filler for meat!!! ), but, I loved the cabbage especially. But the lamb was great. 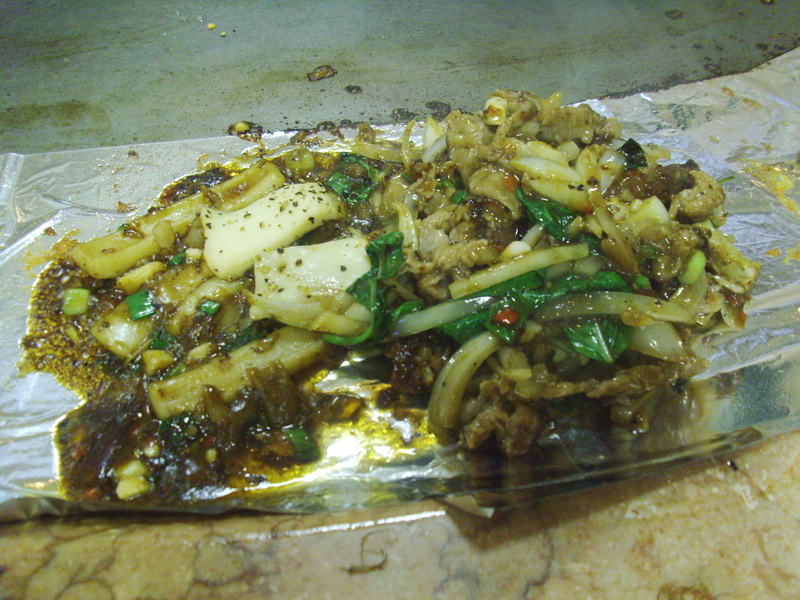 He cooked it with garlic, hot peppers, basil, onions, soy sauce, rice wine, and what I’m assuming is super-duper-secret-sauce. Well, whatever it is, it’s good stuff.